This salad looks great on a huge platter with all the ingredients piled up – let everyone build their own salad to their liking. It can also be used as part of a cocktail buffet when you use the lettuce leaves as cups and then can be eaten by hand. Combine the following and stir until well combined. Cook the rice noodles according to the package. When they are just tender, drain and toss with the canola oil to prevent sticking. Season the noodles with salt to taste. Let them come to room temperature. 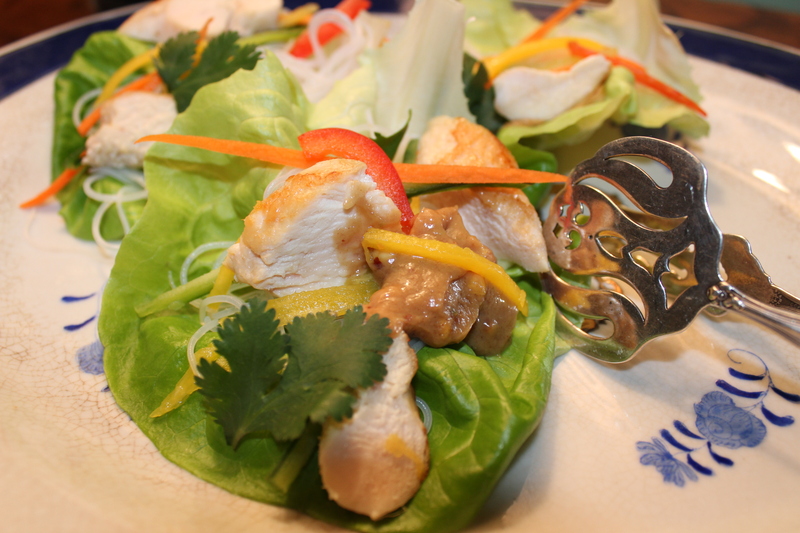 This entry was posted in Recipes and tagged chicken, Chicken Breasts, cold noodle salad, Gluten-Free, Peanut Butter, Peanut Sauce, Rice Noodles, sauces. Bookmark the permalink.